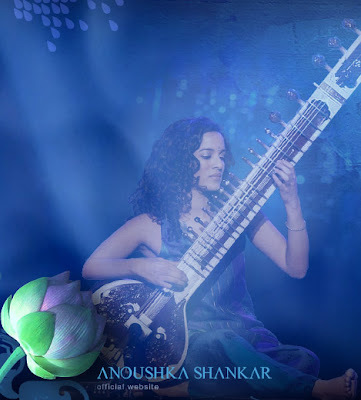 Anoushka Shankar daughter of the legendary Sitar virtuoso, Pandit Ravi Shankar is embarking on a musical odyssey along with Jethro Tull celebrating their 40th Anniversary, their music defies a genre based classification. From blues, folk rock, progressive rock and jazz influences to touches of Far Eastern sounds (to name just a few), Tull's music is not easily sorted into a defined genre. Anoushka also featured on the first issue of the Rolling Stone magazine in India. This Duet Concert brings together the eclectic music of Jethro Tull and the spiritual vibrations of the eastern world with Anoushka ... This is pure magic ! You can buy your tickets here ! 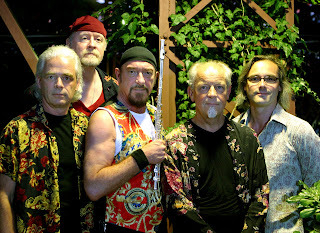 The 40th Anniversary of Jethro Tull is upon us in February 2008. Having initially thought that it was all best avoided in any reference to our upcoming concert tours, I slowly changed my mind after chatting to the others in the band and to some of the fans. Now I have agreed that we will celebrate the tours with a full laser light show, a dancing troupe of honed and bronzed young men fresh from the Madonna boudoir, 60 foot inflatable flute-phallus on stage, Chinese acrobats and fireworks nightly – and – live prostate examinations for lucky competition-winners during the concert intermission. OK – I exaggerate: there will be a little 40-year awareness spread lovingly but discretely for at least the UK tours with the occasional invited guest and some production and lighting references to the “Old Days”. The set-list will be chosen mainly from the first three albums with a few bits and pieces from a little later. Songs and tunes which defined the early Jethro Tull from blues band to eclectic, pre-prog inventiveness. But it would hardly be appropriate for old Sourpuss and his cohorts to give too much credence to birthday bashes in this sense. I, personally, look forward much more to celebrating the 41st anniversary. In this upcoming year of 2008, we have plans to visit a few less places than last year. I already have some time set aside for studio work and lazing about in the garden. But there are already some 70 shows in place between April and end of August, just waiting for the first week of January to go by so that the various promoters can return from skiing their buttocks off and back to their offices to begin the grim task of signing their lives and homes away on the dotted line of contractual commitment. Watch for more dates to go on this website in the upcoming weeks.